I had never lived on my own. I had never lived outside Delhi. Until I moved to Ahmedabad in the summer of 2015 to pursue my post graduation. I arrived with a baggage of Gujju stereotypes – sweet food, only vegetarian restaurants, no beer or chicken, “kem cho, maja ma” jokes and practically no real knowledge of the city or it’s culture. 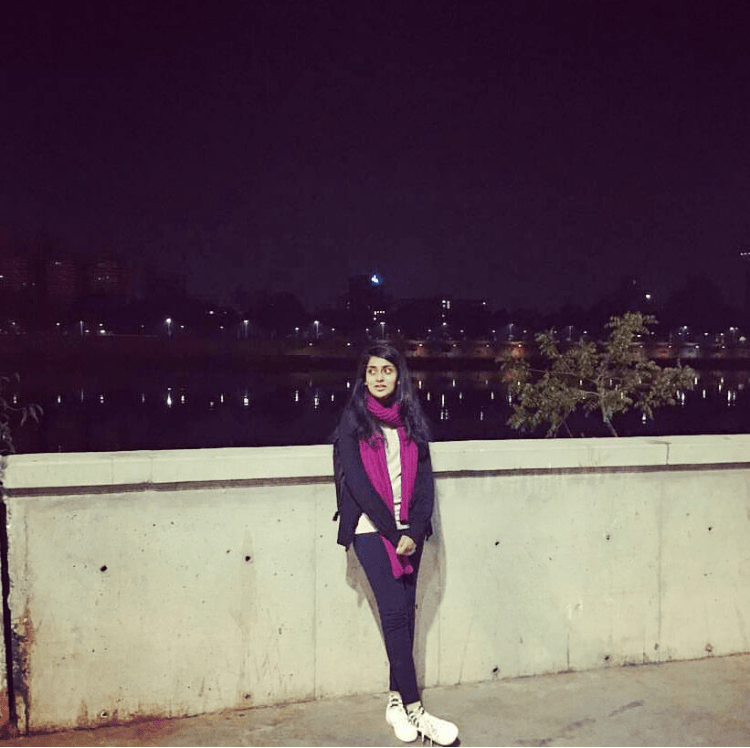 I was pleasantly surprised as all these preconceived notions soon dissolved as I explored Ahmedabad over the next two years. Ahmedabad is not all about dhokhla or dandiya. The city radiates positive energy, amidst all the char-rastas, khao-gulleys and the super-efficient BRT lanes. It is clean and spacious, warm and accepting. I always enjoyed the drive from the airport to my college, because it mapped the breadth of the city. The airport opened into the green cantonment area driving through which was full of mixed feelings every time. Majorly, I missed my trip back home but there was always a sense of excitement for new adventures to come. The Uber skimmed through the older parts of the city very quickly. One of the fondest memories of there is of course, Manek Chowk. It is crowded, dirty and possibly home to every type of water-borne infection. But if you’ve lived in Ahmedabad and not eaten at Manek Chowk, you haven’t really lived in Ahmedabad. My favourite item was a super unhealthy grilled sandwich, for which one had to first battle a hurricane of humanity. The Riverfront built alongside the Sabarmati river is one of the new additions to the city’s urban landscape. It is a long stretch of lawns and pavements, with provision to sit beside the river. At night, the lights of the city are reflected in the river, giving off a vibe akin to Marine Drive in Bombay. The promenade is always bustling with friends, families and fairs. One of my most memorable evenings in Ahmedabad was at one such fair at the Riverfront, sitting on a giant wheel and watching the city lights. Ahmedabad isn’t a very big city. It is comfortable and cosy and has it’s moments. The Ellis Bridge over the river crosses into the newer parts of Ahmedabad. 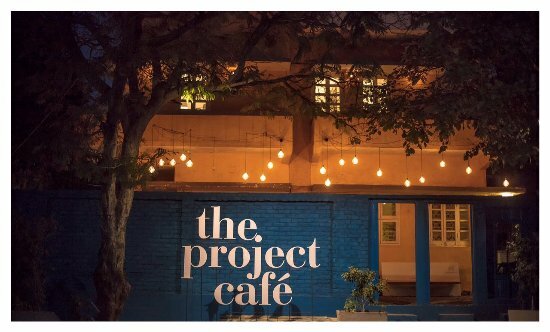 One of my favourite places is The Project Cafe in Vastrapur- a small bungalow converted into a cheery yellow-blue cafe, with art and curios and great food, albeit vegetarian. Some great memories were shared here, over many cups of hot chocolate and green tea. A Gujarati couple far away in the United States decided to quit their well paying jobs and come back to their family in Ahmedabad. Thanks to their homecoming, the city was blessed with a bakery called Buttercupp. They bake the freshest and most delicious cupcakes every morning and are almost always sold out in a few hours. Every occasion in hostel was incomplete without a batch of cupcakes from Buttercupp. 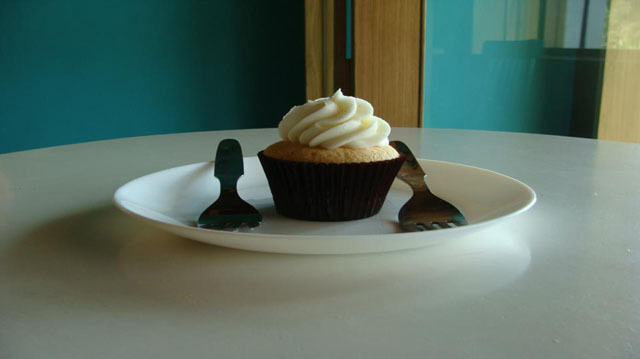 Bad days were never so bad, because they had one simple cure – a trip to Buttercupp for their Double Dip cupcake! A canopy of twinkling lightbulbs marks the Food Truck Park on SG Highway. It was started almost a year after I moved to Ahmedabad. Always buzzing with young people and experimental cuisine like jamun shots and cheeseburst pizza dosa, this place was a universal pick for eating out at night. The Arabian Knife counter was one of the best shawarma fixes in the city. Just an aside, the Food Truck Park was a very poor choice for secret dates, because you would almost always end up bumping into someone you knew! Ahmedabad is charming – a city that blends history with contemporary quite effortlessly. The Cafe Natrani, situated at Mallika Sarabhai’s famous Darpana Academy is a lively open-air space, somewhat reminiscent of the Prithvi Cafe in Mumbai. They serve perfectly made tea in cups that remind you of home. If you’re looking to spend a quiet, beautiful evening in Ahmedabad only interspersed with the sounds of a buzzing fan, Cafe Natrani is where you’ll find a good memory awaiting you. In retrospection, living away from home for the first time, became an easy experience in a city that let you be who you were. Amidst all the food and fervour, one of the most significant emotions that I associate with Ahmedabad is that of truly being free of constraints – personal, professional or social. There was a certain innocence about the city that delivered memories worth a lifetime and expected nothing in return. While living in the mellow pace of Ahmedabad, you savor your time here and cherish it when you’re gone.